CCJ, Port of Spain. 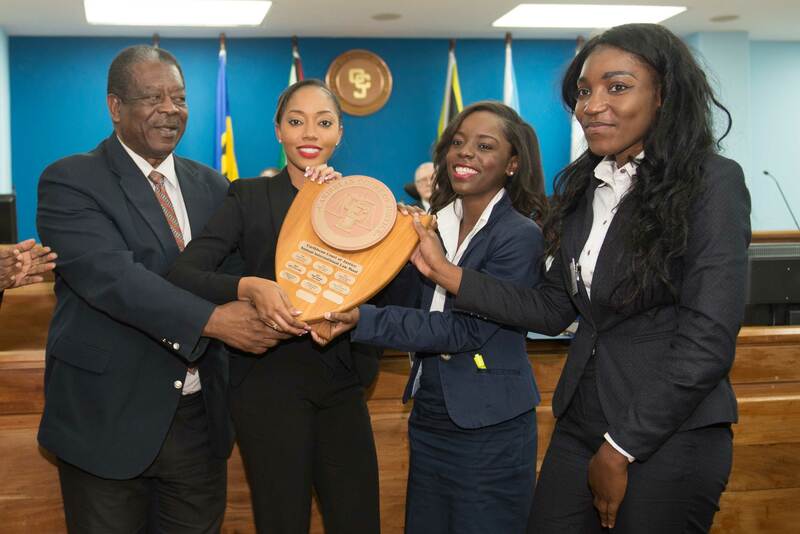 The Eugene Dupuch Law School of the Bahamas has won the 9th Annual Caribbean Court of Justice (CCJ) International Law Moot Competition. The all-female team: Raven Rolle, Megan Curry, Janessa Murray with advisor Ms. Raquel Williams gained a fifth victory for the law school mere days after worldwide celebration of female achievements on International Women’s Day. The Caribbean Court of Justice’s Annual International Law Moot Court Competition was inaugurated in March 2009, to encourage budding attorneys to become familiar with the Revised Treaty of Chaguaramas (RTC), and other areas of Community and International Law. 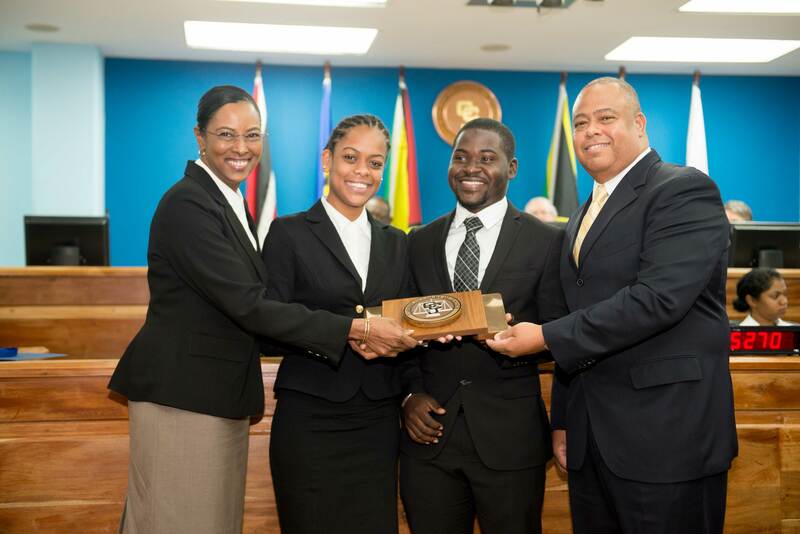 The CCJ’s Law Moot provides the law students with the opportunity to appear and present before the region’s highest court on original jurisdiction matters. 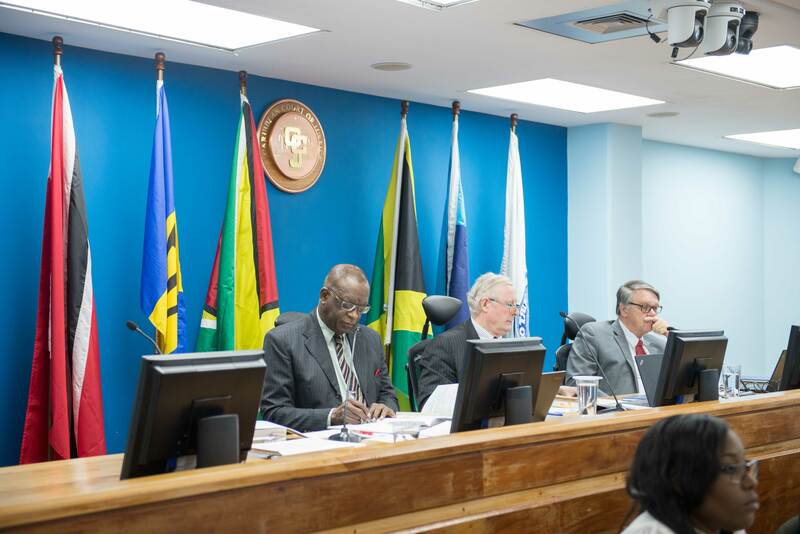 The Original Jurisdiction of the CCJ gives the Court the sole authority to interpret and apply the rules set out in the RTC, which governs the CARICOM Single Market and Economy (CSME). This year’s fictitious case dealt with issues surrounding the freedom of movement within the Caribbean region of a Belizean-based company with shareholders and employees of varying nationalities. Arguments were presented before a panel of CCJ Judges: the Honourable Messrs. Justice Nelson, Wit and Hayton. “These submissions indicate that Caribbean region is in good hands!”. 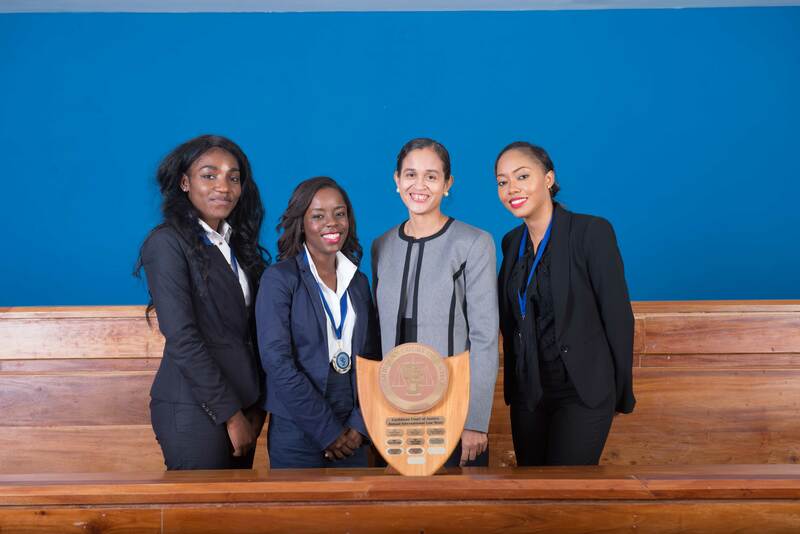 Second place was awarded to the team from the Hugh Wooding Law School, and the University of the West Indies, Cave Hill Campus copped the title “Best Academic Institution”. Observers of today’s competition included: The Hon. 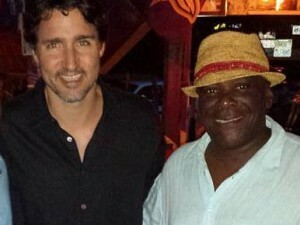 Mr. Justice Ivor Archie, Chief Justice of Trinidad and Tobago; Mme. Justice Desiree Bernard, former Judge of the CCJ; His Honour Anthony D.J. Gafoor, Chairman of the Tax Appeal Board; Mr. Kusha Haraksingh, Chairman of the CARICOM Competition Commission; Mr. Reginald Armour, President of the T&T Law Association, members of the diplomatic corps representing the United Kingdom, the European Union, Mexico, Jamaica, the Republic of South Africa and Suriname. Assisting with the proceedings were first year law students of the University of the West Indies, St Augustine Campus. They functioned as mooting registrar, mooting court support officer and other mooting court officials.